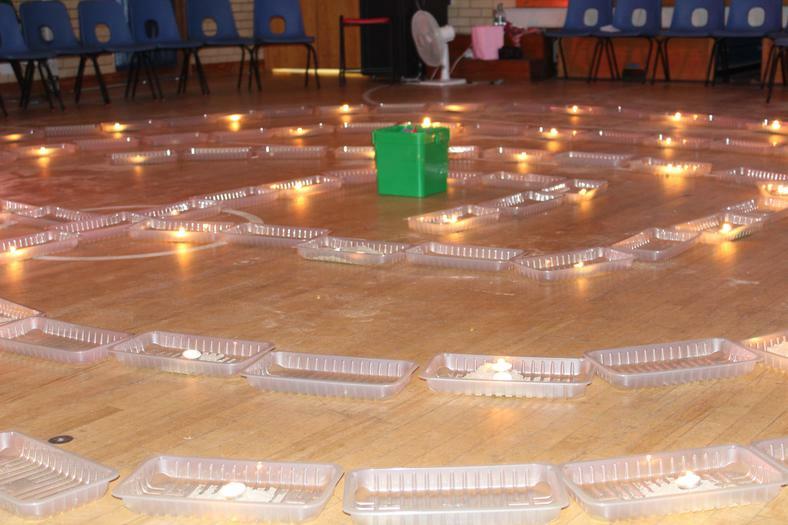 To balance the academic assessments the children have been completing each morning this week, Miss Bush has led ‘Labyrinth’ workshops every afternoon. 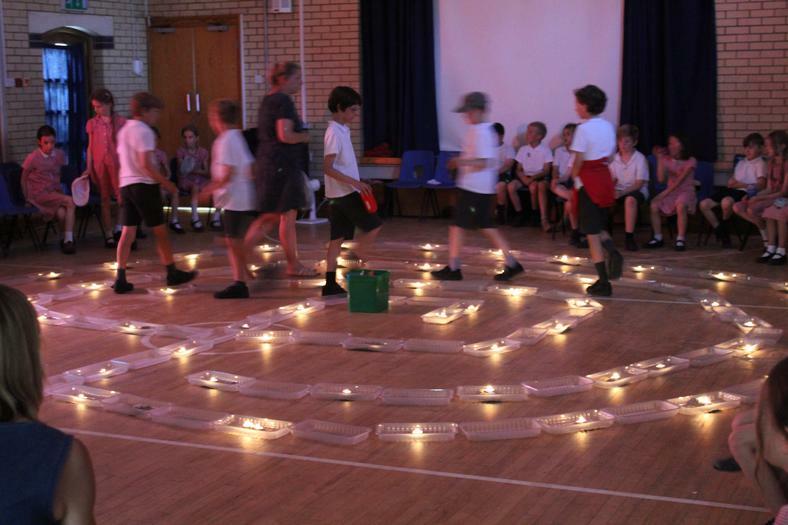 These were designed to bring the children into the outdoor learning environment and promote mindfulness and well-being. 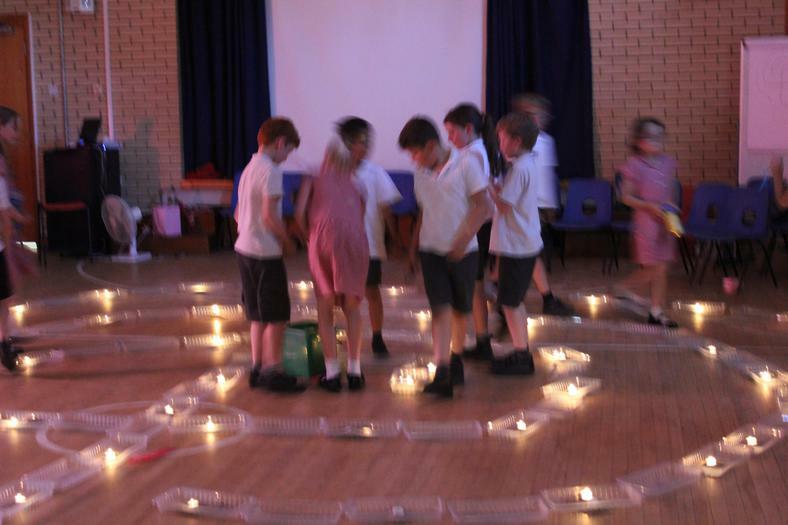 Firstly, each year group learnt about the history and spiritual significance of labyrinths. They then practised drawing their own before recreating huge labyrinths on the playground, using a range of different materials. 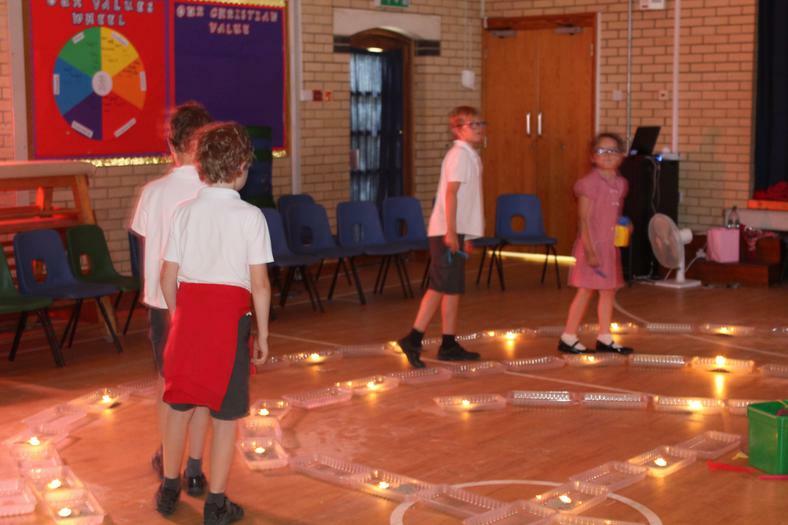 The final part of the workshop involved the children journeying through a candlelit labyrinth in the hall, and adding a reflection to the Widcombe prayer tree in the playground.